The first written reference to the commune of Châteauneuf-du-Pape is in a document dated 1094, from the records of an estate belonging to the Bishop of Avignon known as Castrum Novum. “Castrum” actually means “fortified town” rather than “castle,” however, the two meanings bounced around quite a bit over the centuries. The next mention of the village is dated 1213, in documents of the Bishop of Avignon that refer to the town as “Castronovo Calceranrium” and “Châteauneuf Calcernier.” The word calcernier was most likely added to the name of the town to distinguish it from others of the same name, and refers to the limestone quarry located nearby. It’s also known that in keeping with local traditions, there were vineyards established in the area by this time. The fates changed for the sleepy town of Châteauneuf Calcernier and its wines in the early fourteenth century, when a series of seven Popes took up residence in Avignon rather than Rome due to the volatile political situation in Rome (and between Rome and the King of France). The first of the Avignon Popes was Clement V. Clement V, a Frenchman, served as the Pope from 1305 until 1314. In 1309 he moved to Avignon, where he stayed as a guest at the Dominican Monastery. You can pay homage to Clement V by drinking a glass of Château Pape Clément, a property in Pessac-Léognan whose vineyards were originally planted in 1300; Pope Clement V was one of the property’s first owners. 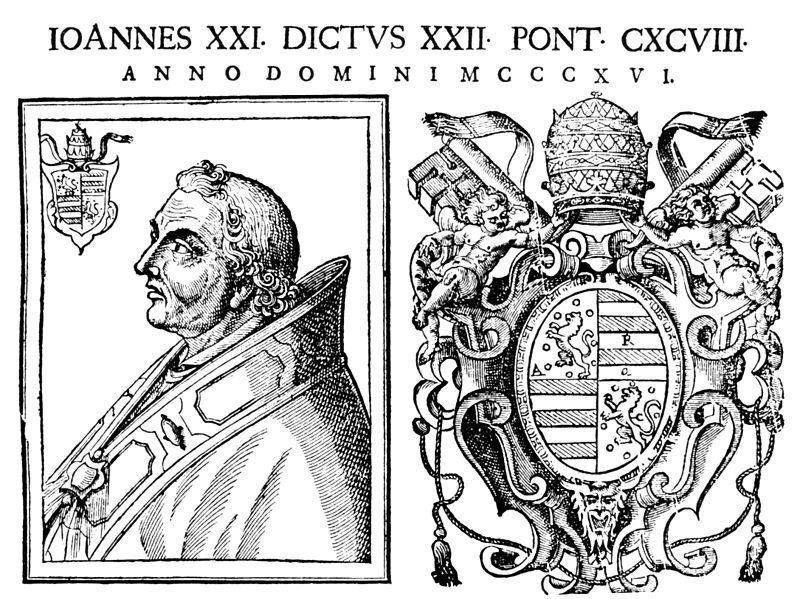 The successor of Clement V was John XXII. Pope John XXII began the expansion of the now-massive Papal Palace in Avignon and built the Pope’s summer residence in Châteauneuf Calcernier. It is said that John XXII chose Châteauneuf Calcernier for the summer residence because he wanted a spot far enough away from Avignon to “discourage courtiers, sycophants, and scroungers,” yet close enough so that a courier could make a round-trip between the two spots in a single day. John XXII oversaw the total construction of the immense summer castle that began in 1317 and was completed in 1333. Grapevines and olives trees were also planted on the estate, and according to the records of the Apostolic Chamber, the area had over 3 million grapevines by 1334. John XXII had a great appreciation for the wines of the area, and granted them the rank of “Vin du Pape.” As such they were served to foreign courts and dignitaries, and soon began to be shipped in barrels to areas far and wide. After John XXII, none of the succeeding Avignon Popes used the enormous summer residence. However, during the time of the Great Schism (1378-1417) when there were two competing Popes (one in Rome and one in Avignon), Clement VII stayed in the castle for security reasons. 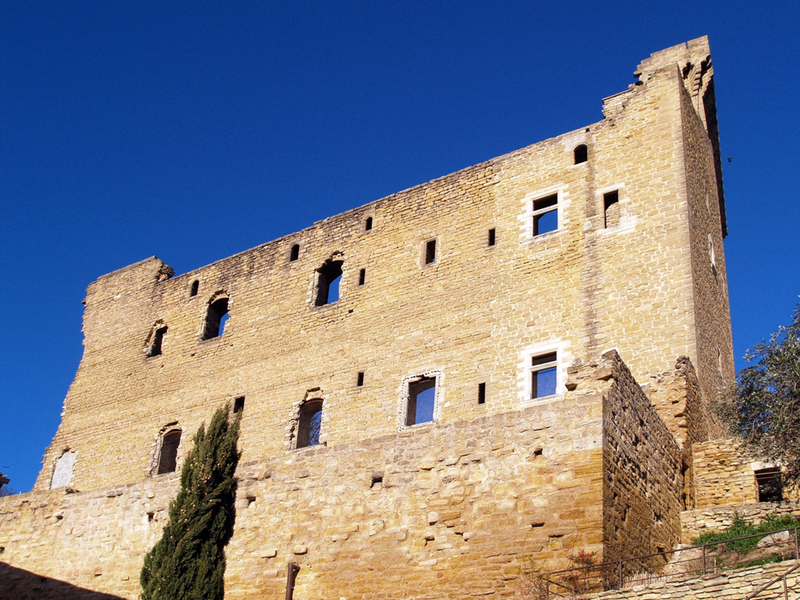 After the departure of the Popes, the great castle passed to the ownership of the Archbishop of Avignon. However, the building proved too large and too expensive to maintain, so the building was slowly dismantled and its stones and hardware were used for building projects in the town. At the time of the French Revolution, the name of the town changed again, first to Châteauneuf d’Avignon, and later to Châteauneuf-du-Pape. 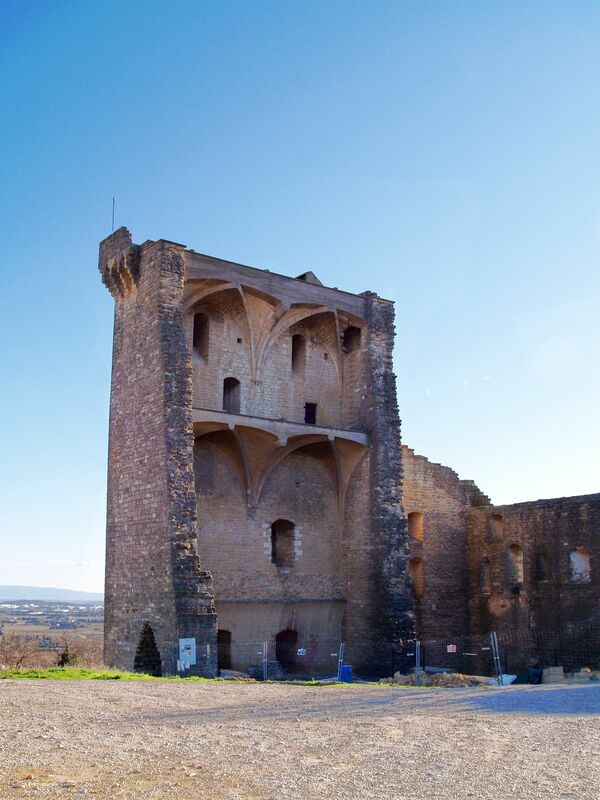 At this time, the remaining buildings of the Pope’s once-magnificent summer estate were sold and dismantled, and only the fortified tower remained. During World War II, an attempt was made to demolish the tower with dynamite, but only the northern half of the tower was destroyed. Today, the southern half survives, looming over the village, keeping a watch on the vineyards, and remaining as one of the most enduring symbols in the world of wine. Click here to read the amazing-but-true story of the flying cigars of Châteauneuf-du-Pape. Robinson, J., & Harding, J. (2015). The Oxford Companion to Wine (4th ed). Oxford: Oxford University Press.